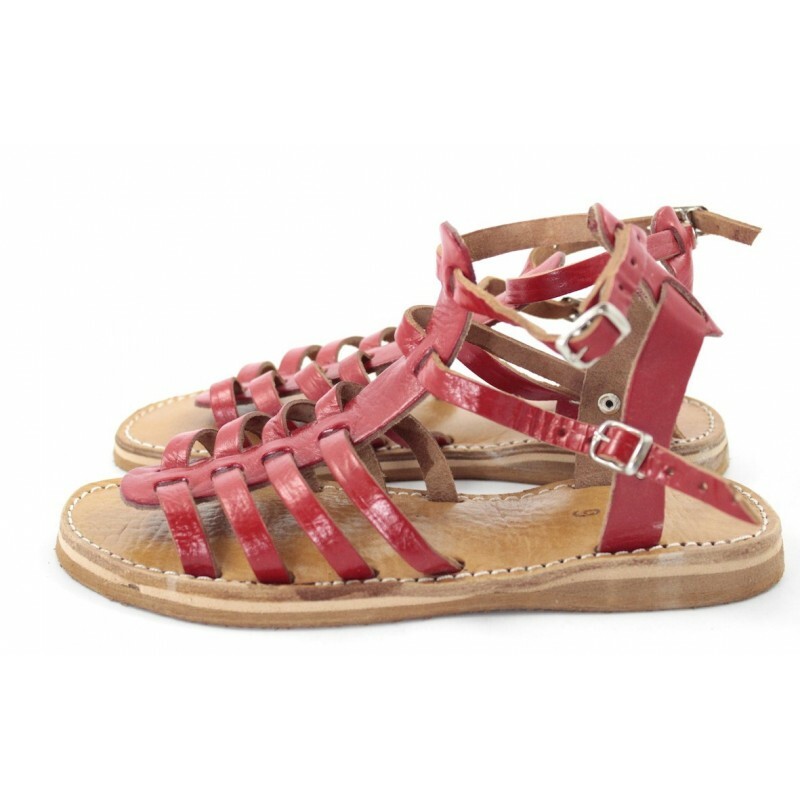 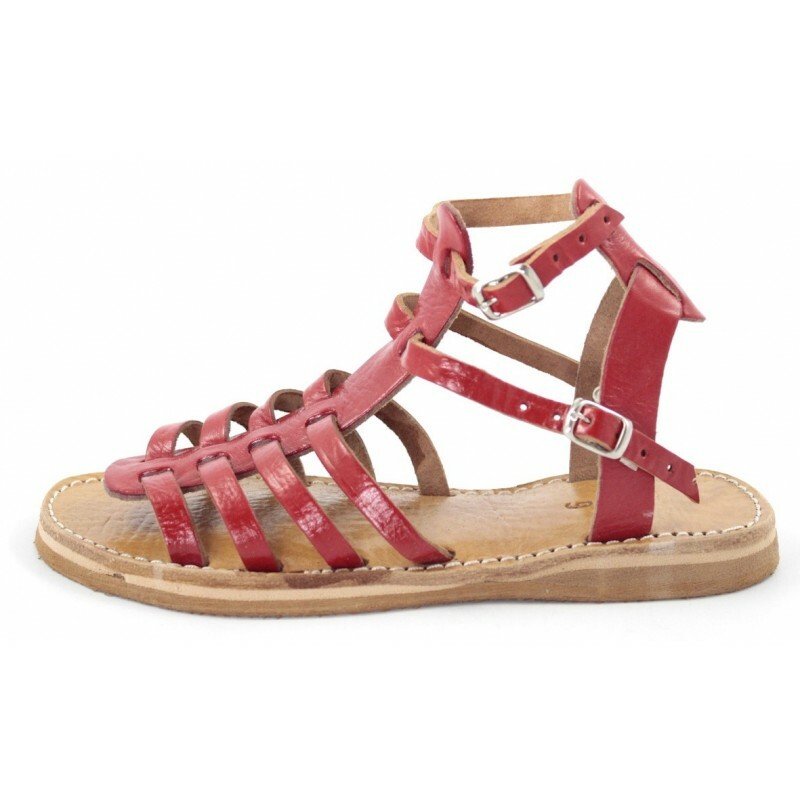 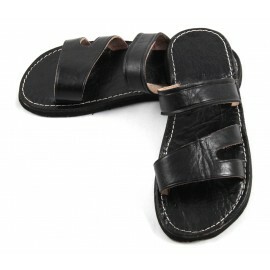 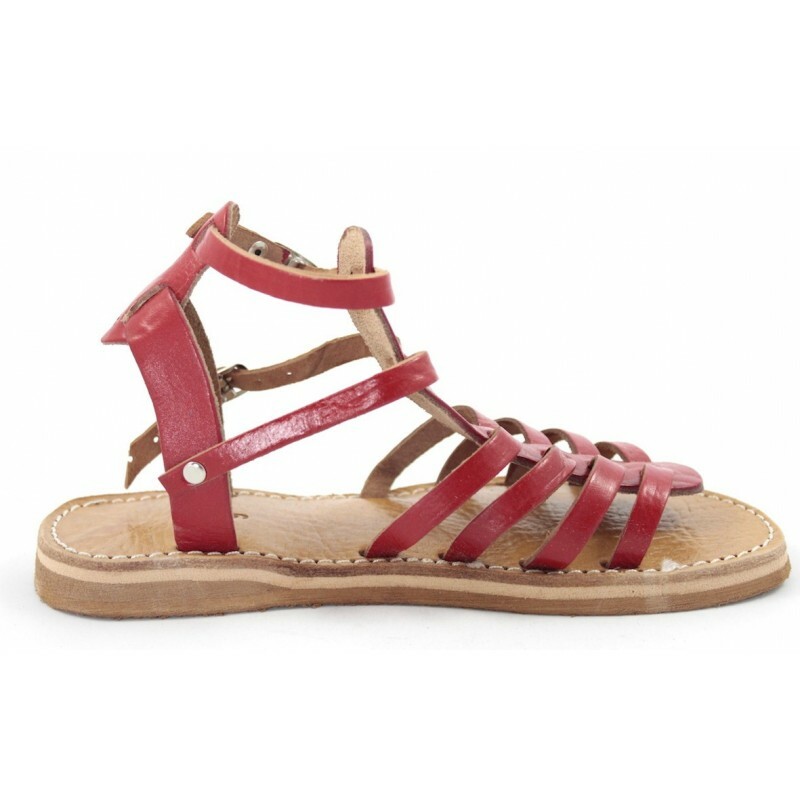 These exquisite mid-length Spartan-style sandals with multiple buckles are made entirely of leather. 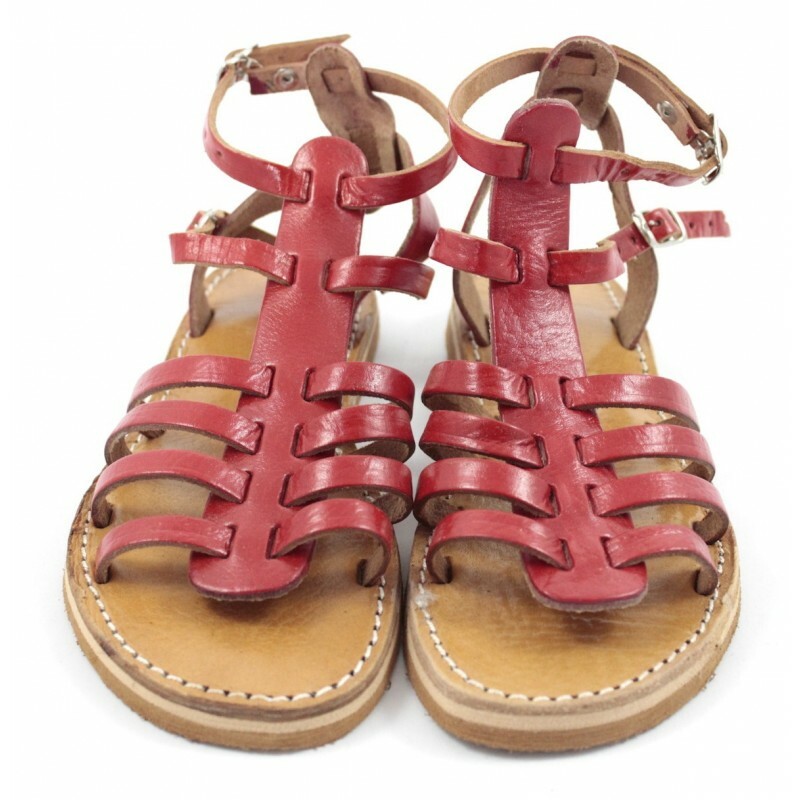 Adjustable double buckle at the ankle and four straps on top of the foot for optimum support. 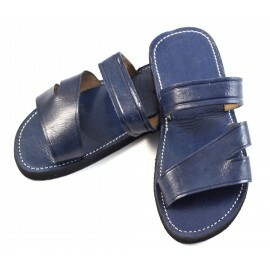 You can not only wear them with jeans but also with small dresses. 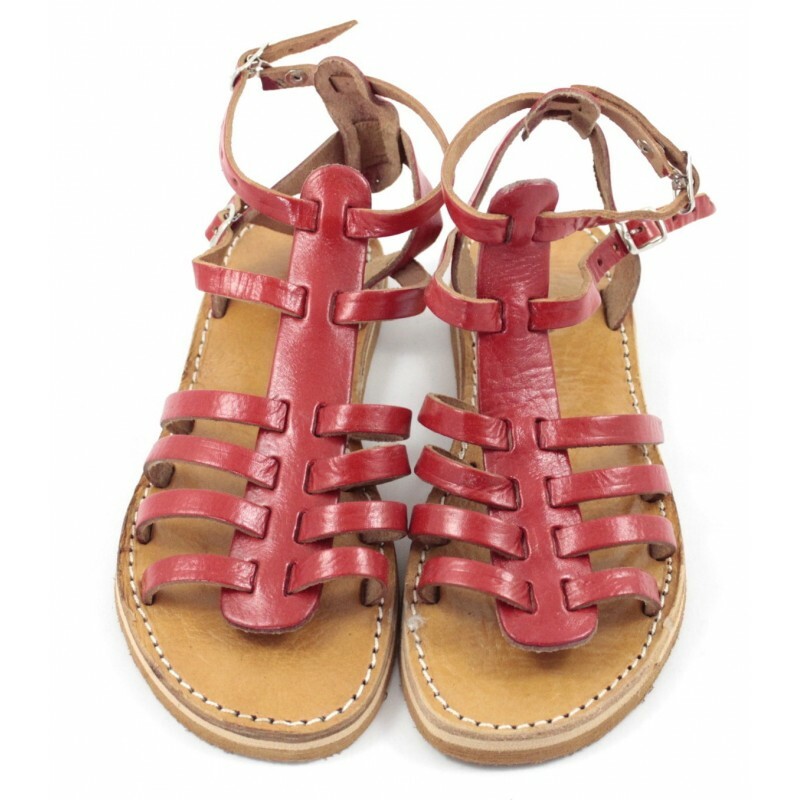 They'll fit perfectly with all of your Summer looks! 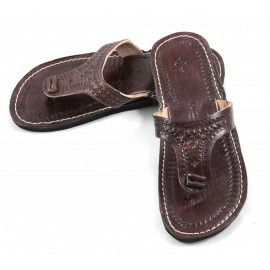 These Leather Sandals are manufactured in the Red city of Marrakesh, in a family workshop of the old Medina. 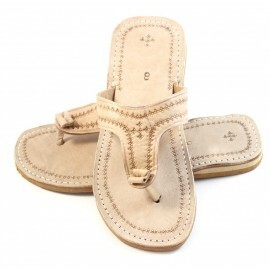 All are cut, assembled, and sewn by hand. 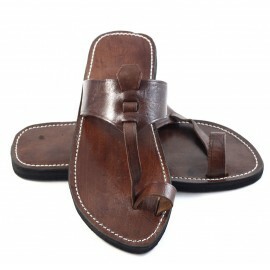 4 straps on-top of the foot. 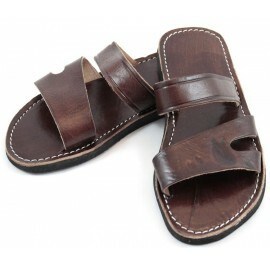 2 straps at the ankle and buckles made of metal loops. 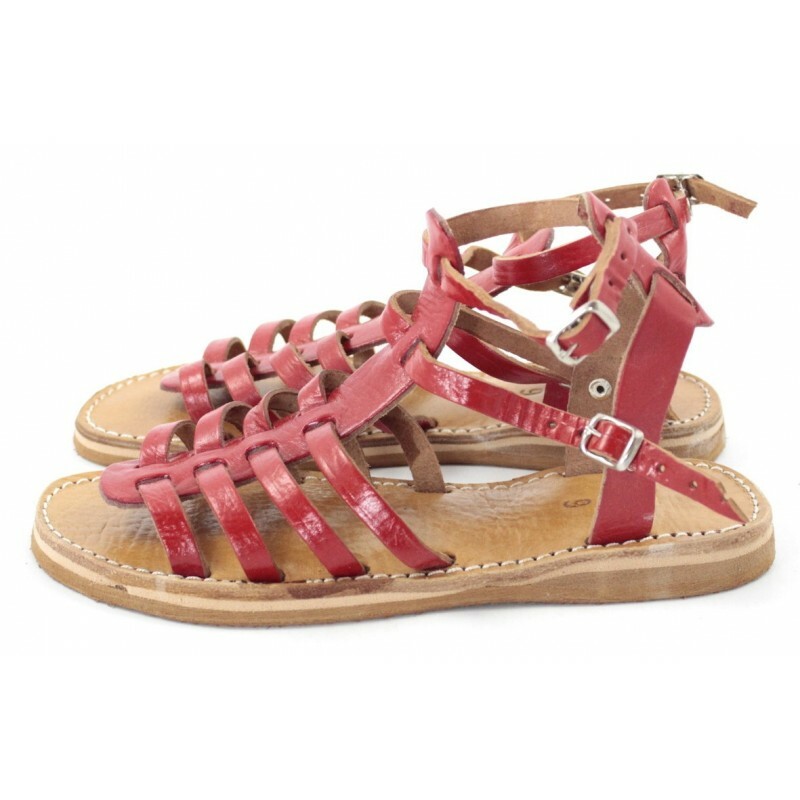 The straps are made from ultra-tough, thick leather; the straps at the ankles are adjustable and can be shortened according to your comfort. 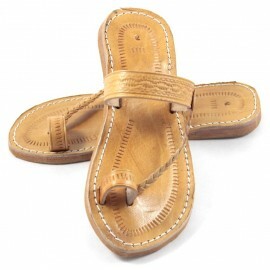 Interior sewn sole made of leather. 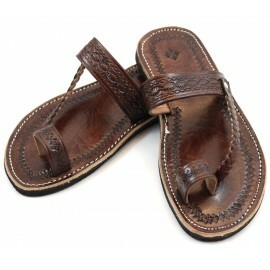 Midsole designed for maximum comfort. 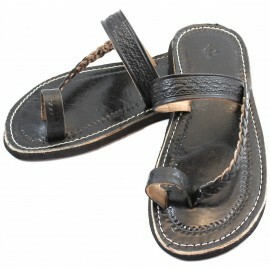 Outer sole made of tone-on-tone rubber. 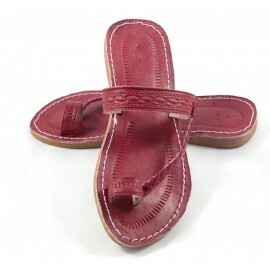 Height sole in the back: 1.8 cm. 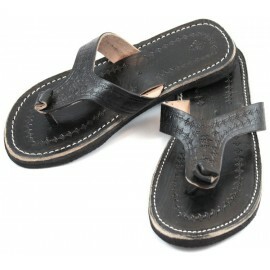 Height sole in the front: 0.8 cm. 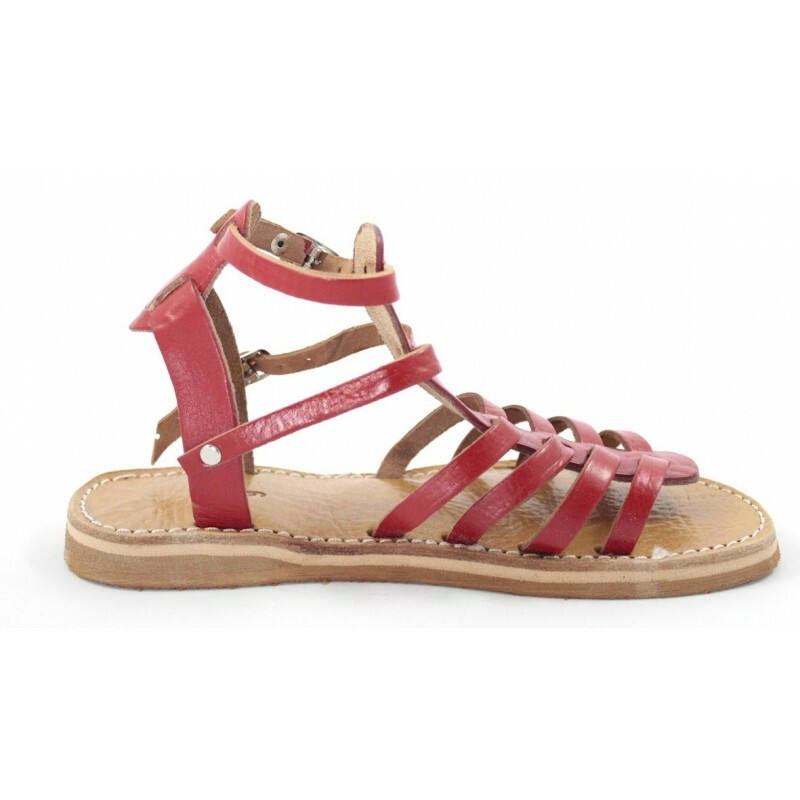 All three layers are made of solid and smooth material guaranteeing you an optimum comfort while walking.